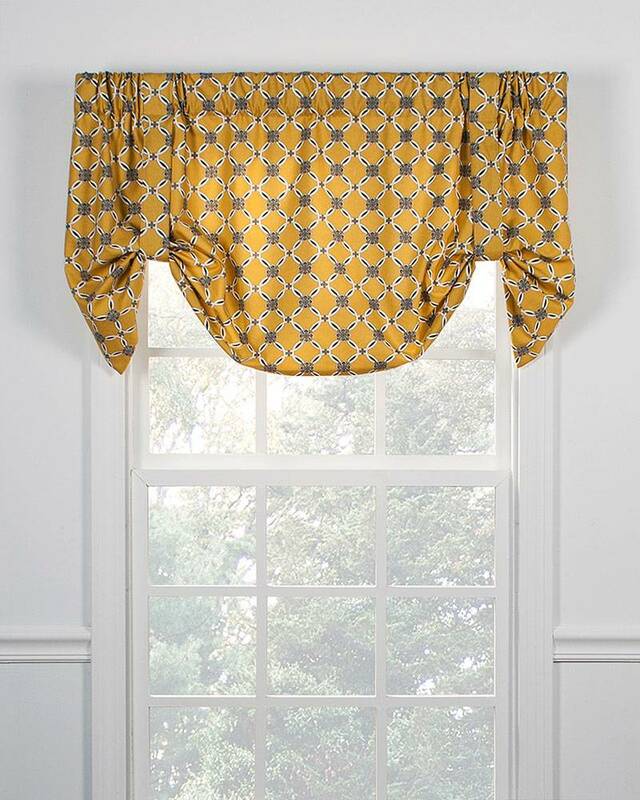 Showcasing a classic "chain link" design on a solid color background, Andros Lined Tie Up Curtains are available in your choice of 4 color combinations. 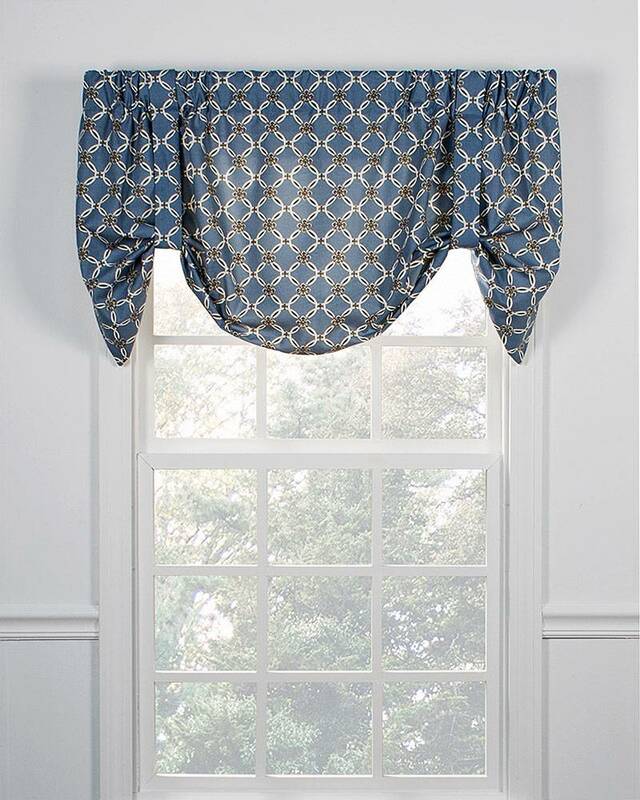 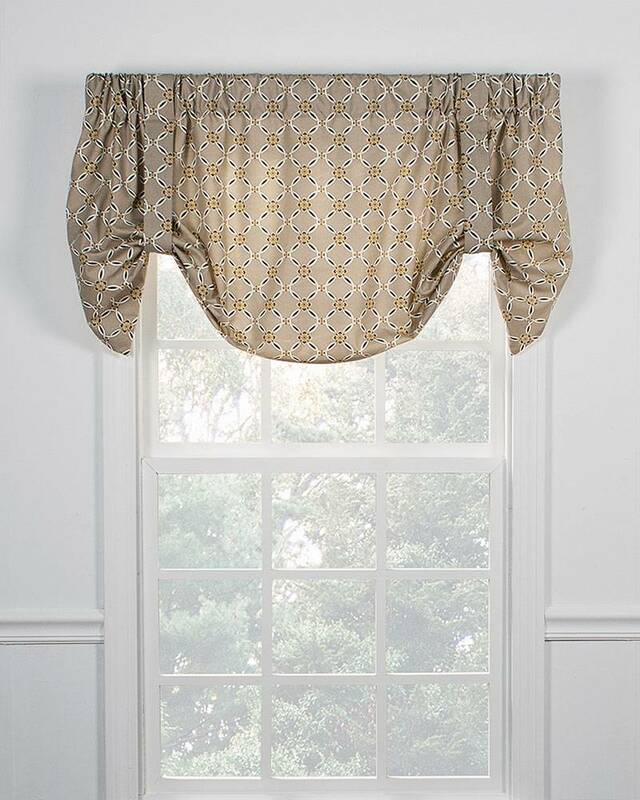 This beautifully designed one-piece valance treatment measures 21" from the top down to longest point on the sides with the straps sewn at a fixed height (not adjustable). 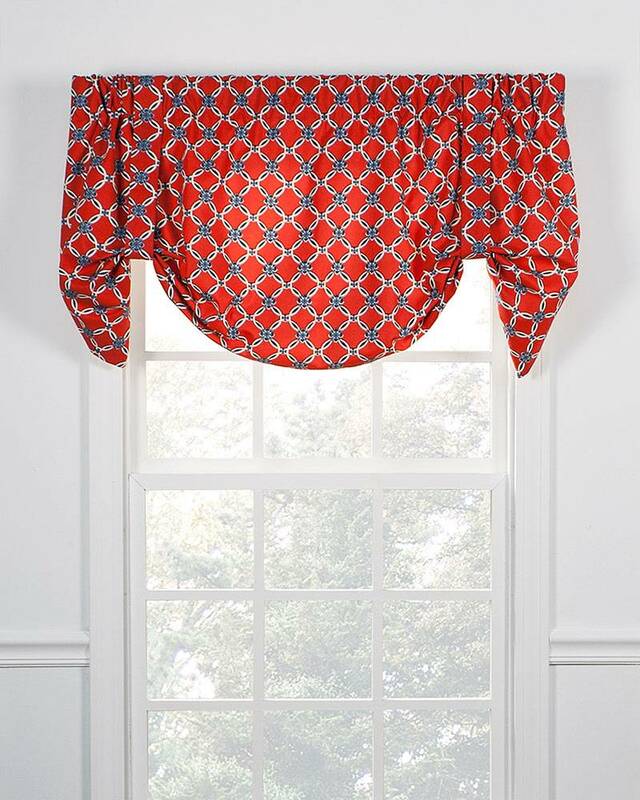 Printed on 100% cotton, fully lined, and made in the USA.